This is a good basic formula for chronic accumulation of phlegm damp in the lungs. It can be used for longer periods of time and can also reinforce other products for cough, including those for phlegm heat. This is a good basic formula for chronic accumulation of phlegm damp in the lungs. It can be used for longer periods of time and can also reinforce other products for cough, including those for phlegm heat. Use for acute or chronic cough with abundant expectoration. Transforms and eliminates phlegm, drains the lung, benefits Qi, moistens the lung, relieves cough, calms wheezing. 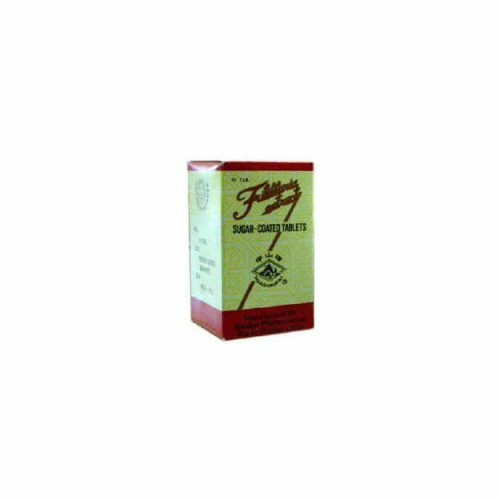 Use for accumulation of loose phlegm with rattle like cough and labored breathing. Use for acute and chronic bronchitis, emphysema, and bronchial asthma, coughs due to febrile illness and similar disorders. Note: When cough and phlegm are present due to OPI (Outside Pernicious Influence), another diaphoretic medicine should be added such as Chuan Xiong Cha Tiao Wan. Take 3 to 6 tablets, 3 times a day. Do not take if you are pregnant or nursing. Avoid cold or raw foods while taking these herbal pills.